For who: Suitable for both beginners and experienced walkers with the Friday walk a steadier, shorter walk and the Sunday walk longer and faster. These walks will take you around Queens Park and out around Loughborough and the surrounding area and are delivered by trained British Nordic Walking Society Instructor Ciro. These sociable walks will provide basic instruction, exercise and fun. Nordic walking uses poles reducing impact on joints whilst also providing a full body workout. 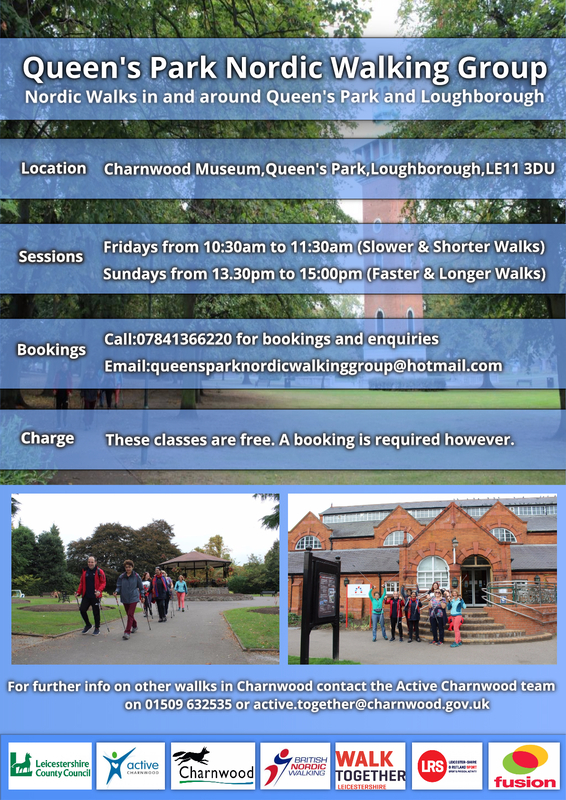 These walks are suitable for beginners, and poles will be available to borrow during the walk. The walks are also suitable for people who have their own poles and would like to return to Nordic Walking, meet new people and discover some new routes.